BOG - frequencies increased from 3 to 4 weekly nonstop flights using a B 767-300ER effective May 31st. CCS - frequencies increased from 4 weekly to daily nonstop flights using an A 319 effective June 22nd. LIM - frequencies increased from 3 to 4 weekly nonstop flights using a B 767-300ER effective June 3rd. PEK/DXB - frequencies increased from 3 to 5 weekly nonstop flights using a B 763ER. PVG/BRU - new 3 weekly nonstop flights to be launched using an A 332 effective May 28th. Embraer of Brazil has officially announced that they are seriously studying the probability of launching a larger E195 version called thus far the E195X which would seat 130 passengers in a single economy class configuration. The aircraft would likely have a flying range of 2800KM and is targeted towards airline wishing to replace old MD80s, classic Boeing 737-300s and older A 319s on short haul routes. A final decision will be taken by Summer 2011 by the company to decide whether or not this venture is worth pursuing. The E-Jets family line of aircraft has proven to be a big hit with airlines due to its lower purchase and operating trip costs on short haul flights up to 3 hours of flying length versus B 717s and A 318s in particular. If Embraer do indeed go ahead with this launch, its main competitors would not only be Boeing and Airbus but Bombardier as well due to the latter having recently launched their C-130 product. a) JETBLUE - an airline like B6 can find this aircraft very useful as it can easily seat 125 passengers in an all economy class layout and be used on many of its domestic U.S. routes where current demand on flights operated by its 100 seater E 190 jets is very high. Rather than upgrading capacity on these flights from an E 190 to an A 320, it would be cheaper to do so from an E190 to an E195X due to the smaller capital costs involved in particular. b) AIR CANADA - The Canadian national carrier can find this aircraft useful to fly on trans-border and domestic Canada routes under 3 hours of length rather than spend extra cash at having an A 319 do it. c) QATAR AIRWAYS - QR has been on the look out to purchase regional jets for a while now and this aircraft along with the E 190 can be an ideal fit into their fleet. In its luxurious 2 class configuration, QR can seat 85 pax on the E190 and 105-100 on the E195X and be used to fly on low density regional flights within the GCC region + Iran + Iraq and Central Asia. d) KUWAIT AIRWAYS - ideal plane for it to use on low density GCC regional flights rather than the higher density A 320 which sees low load factors on flights to AUH/MCT/DOH/DMM/BAH etc. It can also be used in the future to launch services to BGW/NJF/Basra etc. 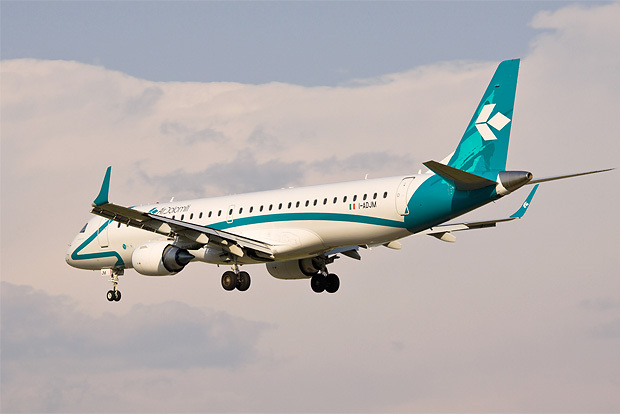 e) PARAMOUNT AIRWAYS INDIA - ideal plane to give it a capacity uplift versus ordering the E190. Currently, the airline has many E170s and E175s in its fleet. f) LOT POLAND - this is the plane to replace their aging fleet of 6 Boeing 737-500s from both a capacity and flying range point of view! They already have a fleet of 10 E70s and 10 E75s so this aircraft would be a perfect fit due to fleet/cockpit commonality issues.